After a string of devastating hurricanes and a severe outbreak of Delta Fever, the Gulf Coast has been quarantined. Years later, residents of the Outer States are under the assumption that life in the Delta is all but extinct…but in reality, a new primitive society has been born. Fen de la Guerre is living with the O-Positive blood tribe in the Delta when they are ambushed. Left with her tribe leader’s newborn, Fen is determined to get the baby to a better life over the wall before her blood becomes tainted. Fen soon meets Daniel, a scientist from the Outer States who has snuck into the Delta illegally. Navigating the Orleans wilderness, they form an unlikely bond and, in the end, may be each other’s last hope for survival. 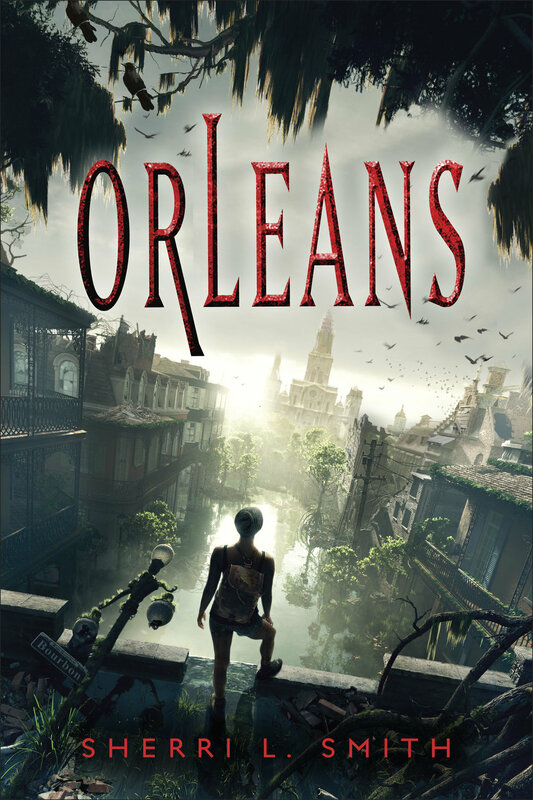 Read ORLEANS: CARNIVALE on the Young Adult Review Network. An ORLEANS short story to whet your appetite, “Carnivale” takes place approximately nine months before the events in the novel.